The Zhangbei high-voltage direct current (HVDC) grid in the Beijing-Tianjin-Hebei area of China will enable the integration of remote wind, solar and hydro energy in a transmission ring that ensures op-timization of power flow. This unique “HVDC grid” is designed by State Grid Corporation of China (SGCC), one of the world’s leading power utilities. ABB will supply several critical elements including an HVDC Light valve, wall bushings, transformer components, high-voltage capacitors and power semiconductor devices. HVDC is a highly efficient technology for transmitting large amounts of electricity over long distances with minimal losses. Traditionally, they are point-to-point links, but the Zhangbei pilot project is unique because several stations are connected with each other in a network, optimizing the use of renewables while ensuring reliability of power supply. ABB, as well as other local suppliers, is supp-lying key equipment for this milestone project, which will be the world’s largest and most advanced Voltage Sourced Converter (VSC) HVDC system with four interconnected stations in a ring network, delivering up to 4,500 megawatts (MW) of clean energy. ABB first introduced the VSC-HVDC technology in 1997 and called it HVDC Light. This solution can control the power flow between grid locations, move electricity at very low losses and support volt-age and frequency of weak grids such as isolated wind farms. 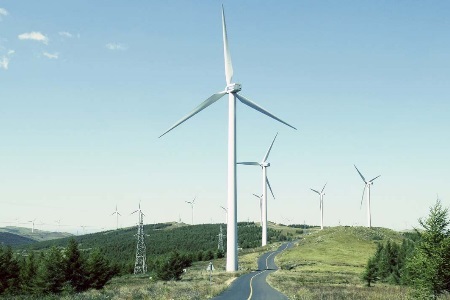 This technology’s controllability and black start capability are examples of its superior functionality that makes it suitable for many key power applications, such as the integration of renewable energy from isolated wind farms on land or at sea and interconnections with AC networks. ABB is a pioneering technology leader in power grids, electrification products, industrial automation and robotics and motion, serving customers in utilities, industry and transport & infrastructure globally. Continuing a history of innovation spanning more than 130 years, ABB today is writing the future of industrial digitalization with two clear value propositions: bringing electricity from any power plant to any plug and automating industries from natural resources to finished prod-ucts. As title partner in ABB Formula E, the fully electric international FIA motorsport class, ABB is pushing the boundaries of e-mobility to contribute to a sustainable future. ABB operates in more than 100 countries with about 147,000 employees. For more information, visit www.abb.com.